Congratulations to WeekendHaven.com for winning in our last months “Why do you need Packsafe?” contest. 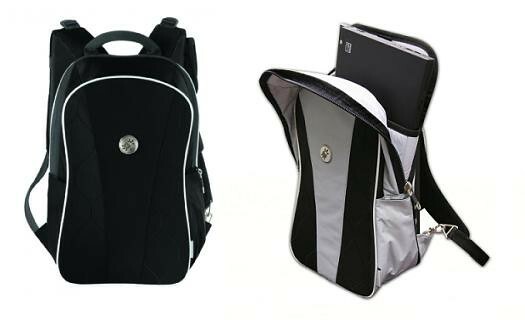 For this month we are giving away Slingsafe 200 Anti-Theft Sling Purse – a sling type bag worth Php2,750.00. How to Join? Just share personal tips on how to travel safe and light? Traveling light seems to be everyones goal each time we pack our bags for our next trip but we always end up bringing so many things that we dont even need. This contest is open to all Philippine based bloggers regardless of the Blog niche coz we all travel right? – Create a blog post with a topic “Why I love Pacsafe” and write about your favorite Pacsafe product. – Each blog entry is required to have/include at least a photo of their (desired) Pacsafe product. – Deadline of submission of blog entries is until August 14, 2010. – Winner will be announced on August 20, 2010. – Validity of blog entry is only within the month it was entered to. – A blogger can have multiple entries per month. – Blogger must be based in the Philippines. – Blog entries will be evaluated based on content, organization and relevance to the theme. – Blog entry, including accompanying images, must not in any way violate any intellectual property right. By submitting a blog as a contest entry, blogger certifies that it is his or her original work and that the same does not currently exist in any other publication, blog or website. – Once a blogger has been awarded as winner, he or she is no longer eligible to become the winner in the other contest. – The winner of the blog contest would be announced within the following month after the last day of each month in the host blog site and Pacsafe Facebook Fan Page. – By participating in the contest, member automatically grants Pacsafe the right to use, copy, adapt, transmit, publish and display submitted entry, whether in whole or in part and this will be applicable worldwide and in perpetuity. 1. When packing, roll your clothes intead of folding them. It’s a big space saver! Roll them as tightly as you can so that you are able to use less space in your luggage to store the clothes. 2. Try to not bring heavy or thick clothes if it is unnecessary (especially if you are traveling to warm places) because rolling up thick and heavy clothing is something quite hard to do! 3. For smaller items that you’re bringing along, you can always stuff them in between the little spaces you can find between your clothes in the luggage. Make use of the side spaces. 4. To pack shoes, separate them out and place them where you can find the odd spaces in your bag, instead of storing a pair together which usually means you need more space for it. 5. Wrap up your toiletries in a bag before placing them in your bag. This is so that in case your toiletry contents leak and spill from their bottles, they are contained in the bag and not stain your belongings. Spare some small bottles of your toiletry in your carry on bag if you are traveling by plane on a long distance flight. But do remember that you can only bring on at most 100ml bottles of toiletries in liquid form. Anything above that 100ml limit will be confiscated by the airport authorities. 6. If you are bringing things like a pen knife, nail cutter, scissors, etc, make sure you do not keep them in your carry on bag. Put them in the luggage that you are checking in as you are not allowed to bring items of such nature on board. If found to be on you, these items will also be confiscated by the airport authorities. 7. Don’t travel with lots of jewelries on you. You may accessorise but don’t over do it with lots of gold and diamonds. 8. Take note of your dressing so that you do not appear to stand out in the crowd and attract attention wherever you go. 9. You need not be overly friendly with strangers. Be polite and friendly, but just don’t encourage to befriend them (go and watch the movie Taken). 10. Don’t accept drinks from people you do not know when you are out partying. 11. If you are taking cabs or taxis and have some dispute over the charges (it happens in some countries), don’t argue too much with the driver. Just pay up, leave and learn the lesson. 12. When in your hotel room, always lock the door and check who’s at the door before opening it. travel safe and light tips base on our experience..